It is a cold, blustery day at Smuggler's Cliff. The lightvehouse keeper is going up to light the light. His wife is going out to feed the birds, and the children are taking care of the animals in the barn. The fisherman next door is taking wood up to the house getting ready for the stormy night to come. 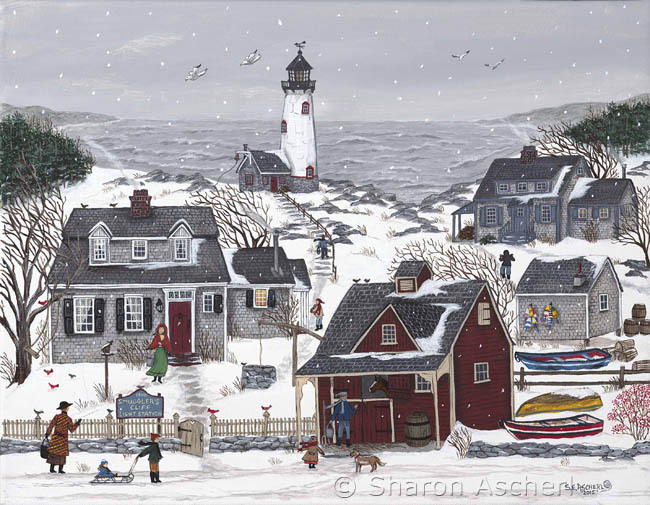 All paintings copyright © by Sharon Ascherl ~ Image use for any purpose is strictly prohibited.